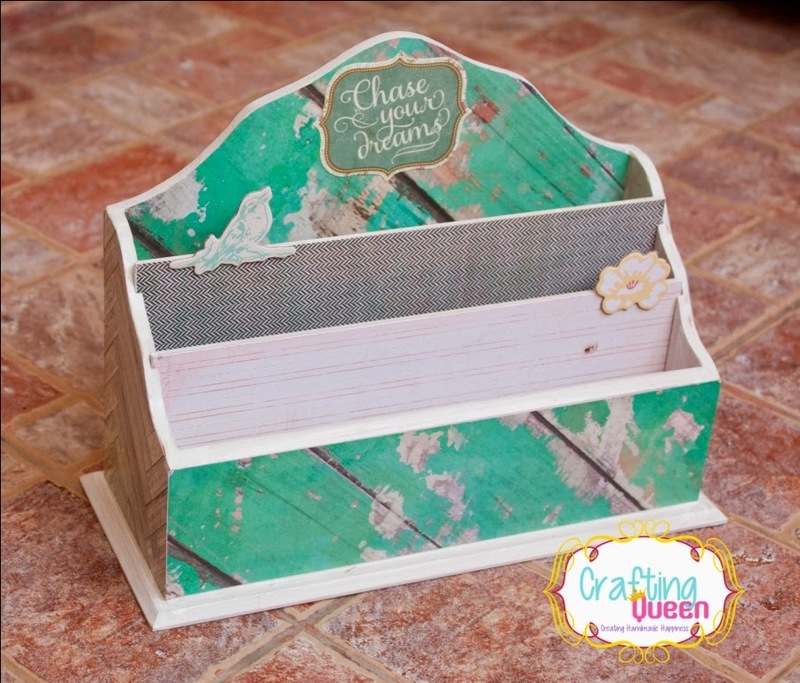 Crafting Queen: Desk Caddy - Chase your Dreams! 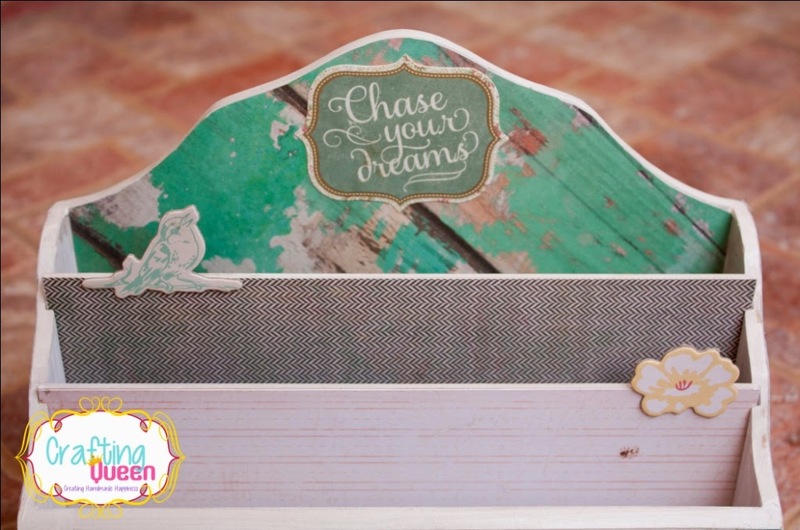 Desk Caddy - Chase your Dreams! So about this desk caddy which was pleading to look pretty for over a month was a request by my DH. He said "can you make something for my desk" and ta da this was the best i could think of. Now he ain't into flashy and too colorful stuff so I stuck with a simple design. 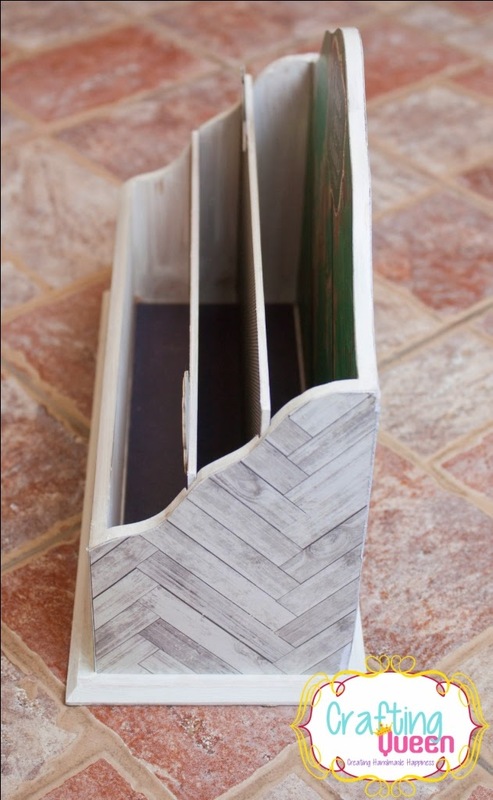 I just adore the papers from the Flea Market collection by American Crafts as many can be used for masculine projects too. 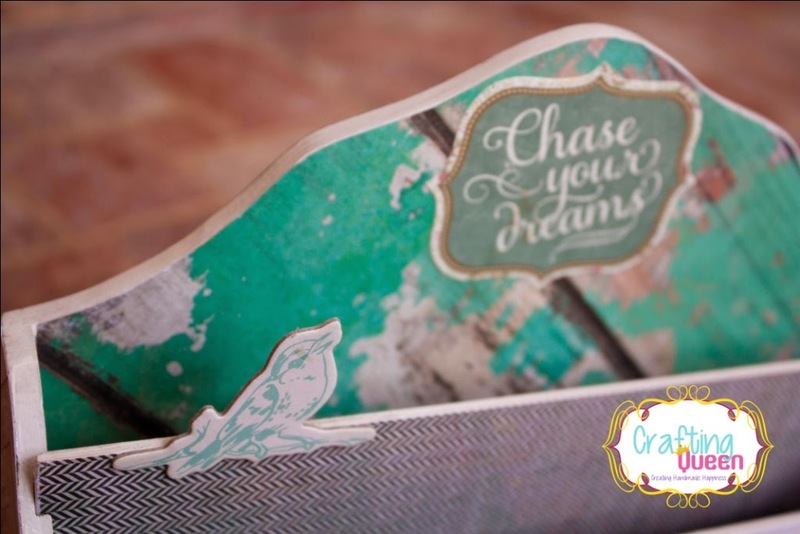 Since he wanted a simple quote I chose this die cut from Olivia Die-Cuts that says "Chase your dreams". Its so perfect for him :). 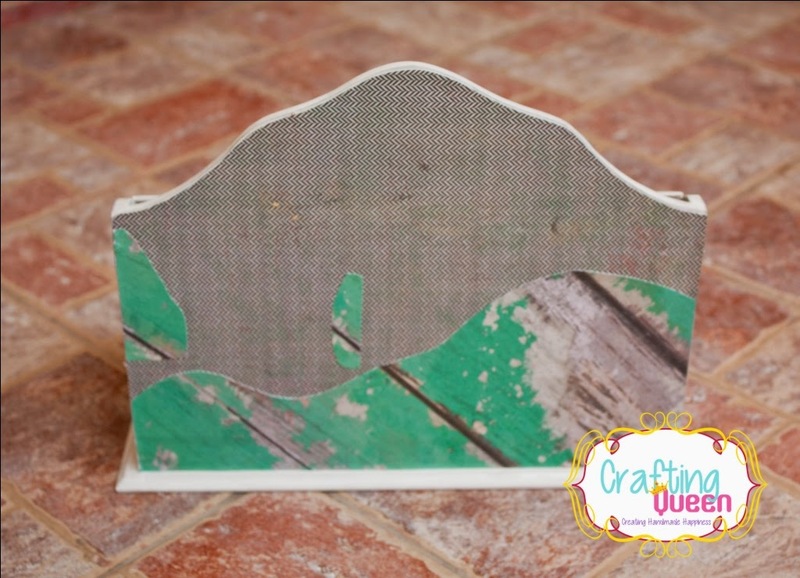 The chipboard embellishments were picked from Dear Lizzy 5th & Frolic Chipboard collection. Hope you like it. He sure did! I wanted to use the left over wood washes green paper so I tried a grungy look of a old broken wall. Not sure if i succeded. Both the separating boards can be pulled out too! Gorgeous makeover ! Love that you have given it such a grungy feel..so absolutely stunning and perfect for a male ! love the pp.